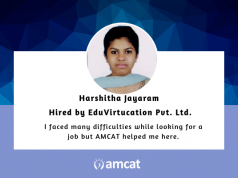 AMCAT test to help you find the job you want! To answer this question, we have decided to pick out achievers of the week. 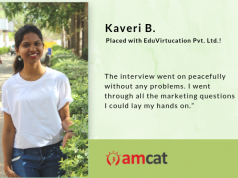 These achievers are people who have struggled, gotten up, placed their faith in AMCAT and embraced the best results. And, we are opening the series with our AMCAT Achiever of the week, Karthik Bhat. 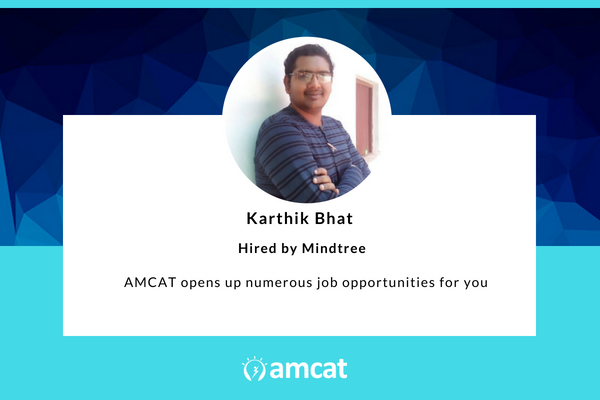 Bhat found his calling in Mindtree and he credits his journey to AMCAT. Karthik further added that the interview process was pretty good. And, to prepare for the technical and HR rounds of job interviews, he revised the core concepts of programming. Being fully aware of all the concepts is really important if you want to crack the AMCAT test and do well in job interviews. Do you have any tips that can help other job seekers in getting a good job? 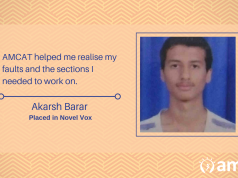 Karthik got the job of his choice because he worked on the core concepts, prepared well and was confident throughout. He knew he could do it and with the AMCAT exam helping him on, it was only a matter of time before he got the job he wanted. You too can pull off a Karthik Bhat and get the job of your dreams with AMCAT. Just schedule the AMCAT test, and get ready to write your success story.